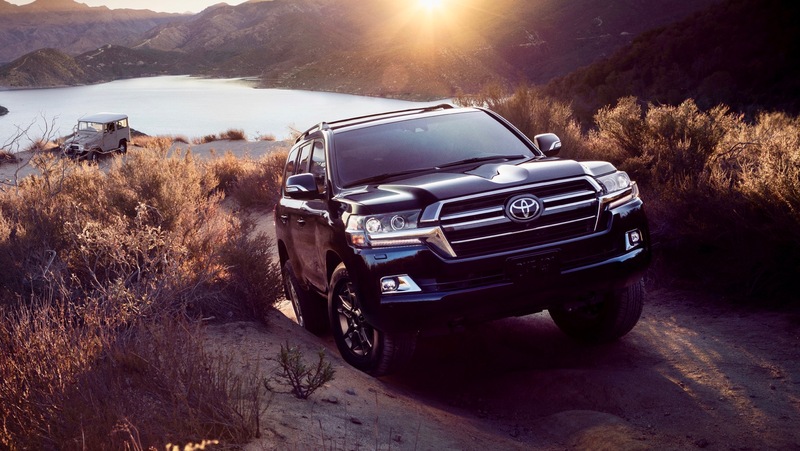 The Land Cruiser is one of Toyota’s oldest nameplates and now it’s celebrating the 60+ years that it’s been on sale in the US with the special Land Cruiser Heritage Edition. 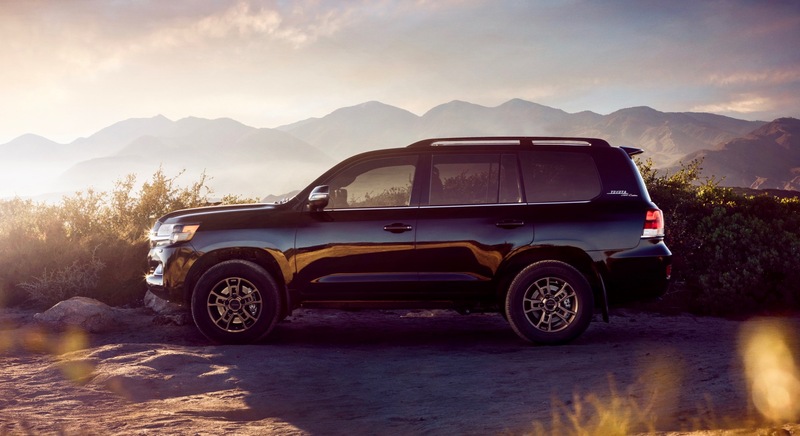 The 2020 Toyota Land Cruiser Heritage Edition will have its official debut next month at the 2019 Chicago Auto Show. The Land Cruiser Heritage Edition will be very rare, since Toyota is only planning on building 1,200 units. It’s based on the two-row model and can be painted in either Midnight Black Metallic or Blizzard Pearl. On the outside it gets a unique black-accented grille and bronze-colored BBS 18 x 8.0-inch forged aluminum wheels. There’s also a vintage Land Cruiser exterior badge to let everyone know how special it is. The running boards and chrome lower body side moldings from the standard Land Cruiser have been deleted as well. The exterior is finished off with darkened headlights, fog lights with dark chrome surrounds and side mirrors with darkened chrome detailing. Inside the seats are wrapped in black leather and the same bronze theme from the wheels has been applied to the steering wheel, door trim, center stack, console and seats. Under the hood, the 2020 Land Cruiser Heritage Edition is powered by the same 5.7-liter V8 engine as the standard Land Cruiser. It generates 381 horsepower and 401 lb-ft. of torque and it’s mated to an eight-speed automatic transmission. The 2020 Toyota Land Cruiser Heritage Edition arrives this summer.